Notes:The first line into Chesterfield was the North Midland Railway from Derby to Leeds in 1840. 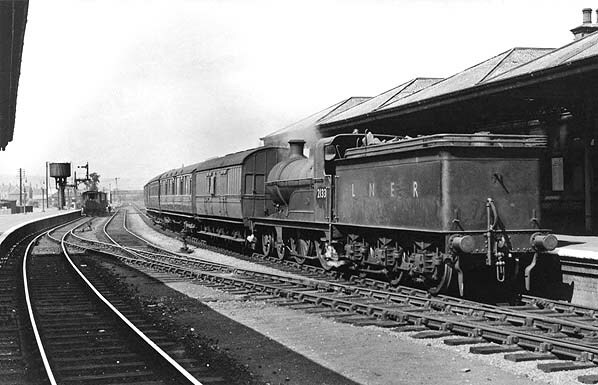 In 1893 the Manchester, Sheffield and Lincolnshire Railway arrived at Chesterfield crossing under the North Midland line half a mile south, at Horns Bridge, to a station a few yards west. In 1897, the Lancashire, Derbyshire and East Coast Railway arrived, with a viaduct seven hundred feet long, above both lines, with a station at the Market Place. Chesterfield was typical of stations built by the MS & LR consisting of two timber buildings with substantial canopies stretching almost to the platform edge with a timber booking office on the bridge overlooking the station with steps leading down onto both platforms. The goods yard was sited on the up side of the line to the north of the station and included a large brick goods warehouse. 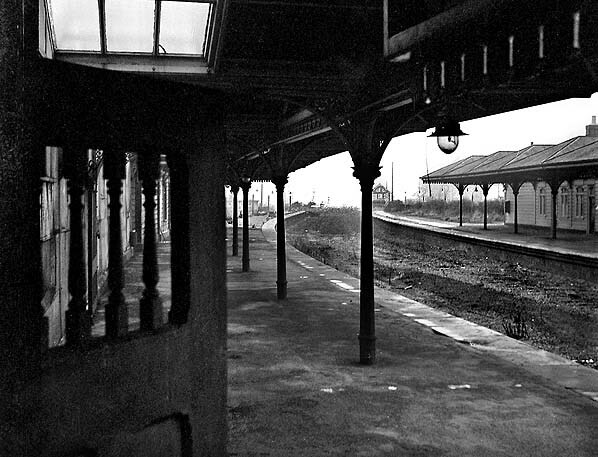 There was also a bay platform on north side of the station that was used by stopping trains to Sheffield Victoria trains which left after the expresses or semi-fasts to Manchester London Road. 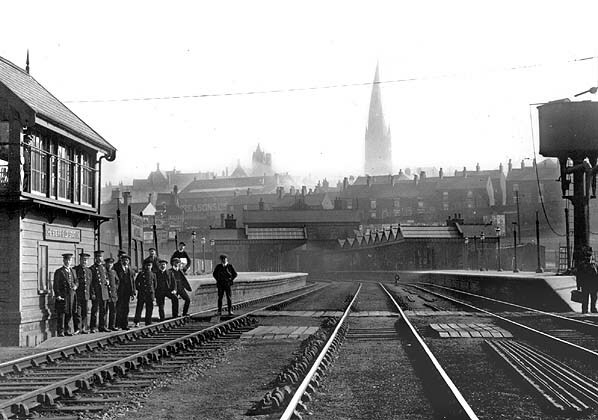 The station was re-named Chesterfield Central on 1st November 1907. South of the station trains immediately entered a tunnel to emerge at Hollis Lane where the line turned south east running under the Midland line at Horns Bridge. 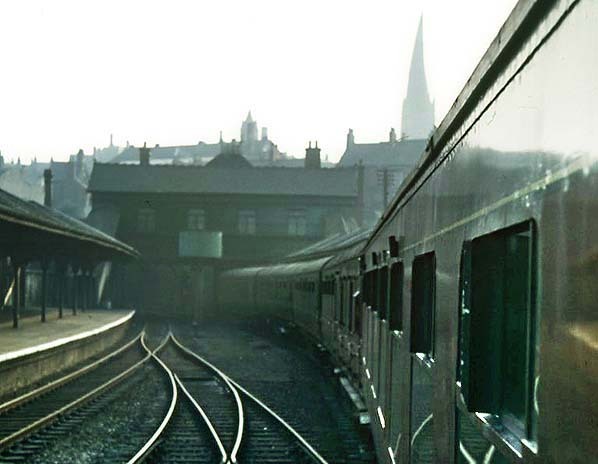 An analysis of passenger traffic carried out by BR for the week ending 19 August 1961 showed Chesterfield Central saw a total of 1,829 passengers either alighting or joining that week, whilst the nearby Midland Station, with its considerably better service of local, cross-country and London trains, saw 22,285.
the Railway Preservation Society for Saturday 15 June 1963. The tour was booked to commence from Sheffield Victoria at 8.50am, arriving at Chesterfield Central Station 9.23am departing at 9.26am. due to arrive London Marylebone at 1.25pm, the return journey would not travel by the loop. The last train was hauled by A3 Pacific 4472 Flying Scotsman. The loco’s owned Alan Pegler and driver Peter Reynolds met Chesterfield’s then Mayor Alderman J Anderson on the footplate. Alderman Anderson had travelled in the train from Sheffield. 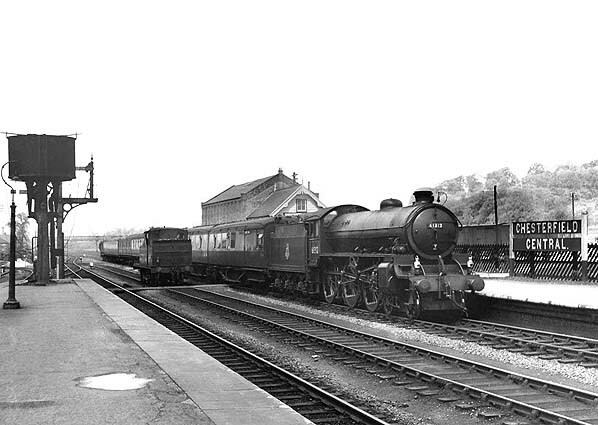 The station remained open for goods traffic until 11th September 1967 with a private siding remaining in use after that date. The 'down' side buildings were quickly demolished but the 'up' side buildings remained until after closure to goods traffic but had gone by 1971. 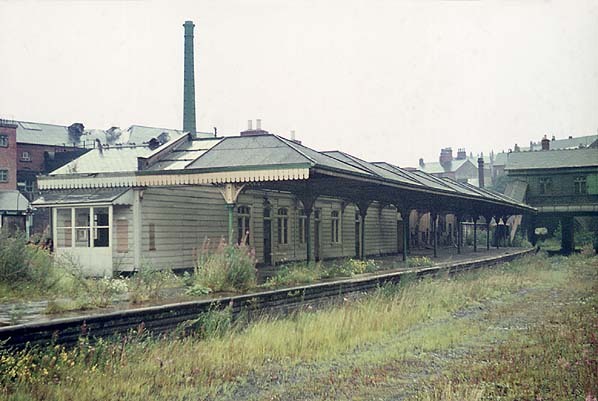 The remainder of the station was demolished in 1973 to make way for a planned relief road. 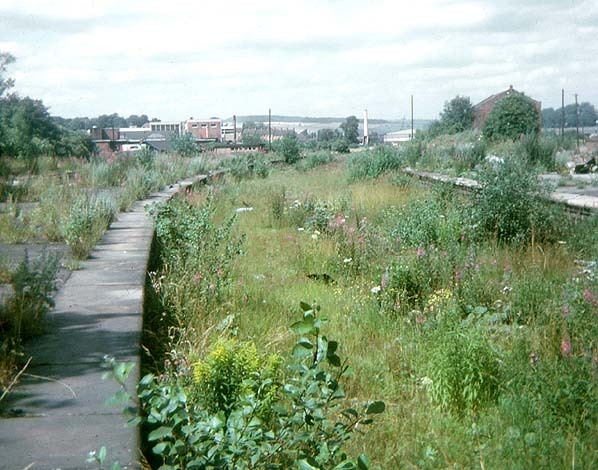 On 25th July 1985 the Chesterfield Inner Relief Road was opened. 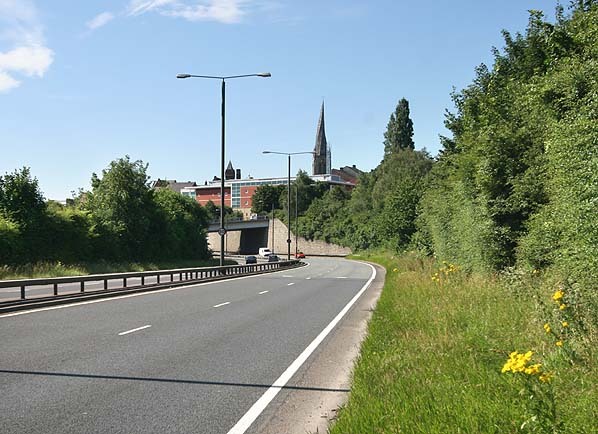 The road followed the course of the Great Central from the northern outskirts of the town near Sheepbridge sidings to a point where the tunnel passed under the town south of the station. The tunnel was sealed and is now lost behind the roads retaining wall. 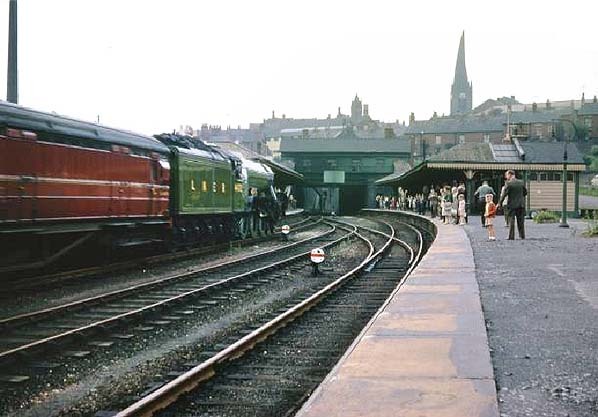 Last passenger train at Chesterfield Central, Saturday on 15 June 1963. 'Flying Scotsman' calls on a Railway Preservation Society tour from Sheffield Victoria to Marylebone. The train only stopped at Chesterfield on the outward journey. 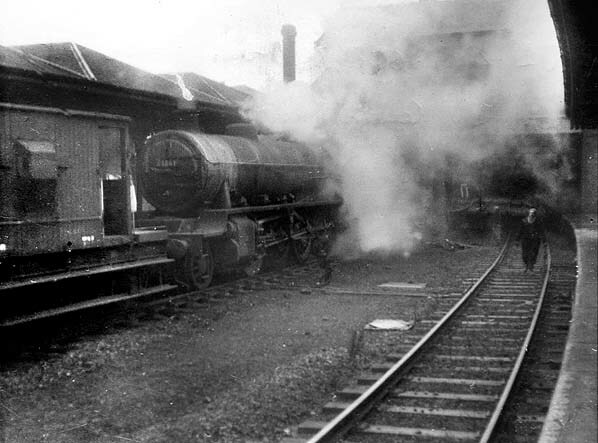 A demolition train is seen at Chesterfield Central station on 28 December 1963. The demolition trains worked south from Staveley to Heath then worked backwards, ripping up track behind them. This view is looking south from the down platform. 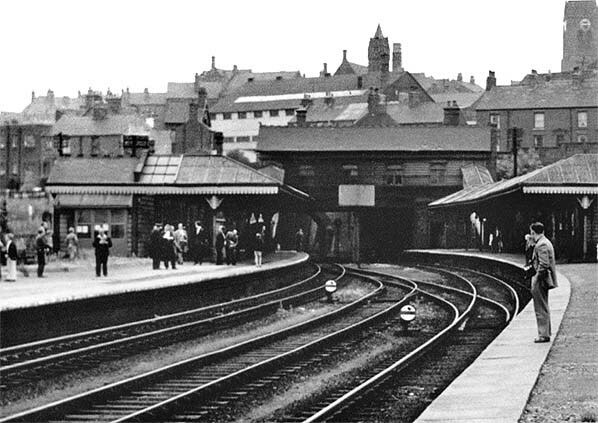 Chesterfield Central station looking north in 1964, shortly after the track was lifted. 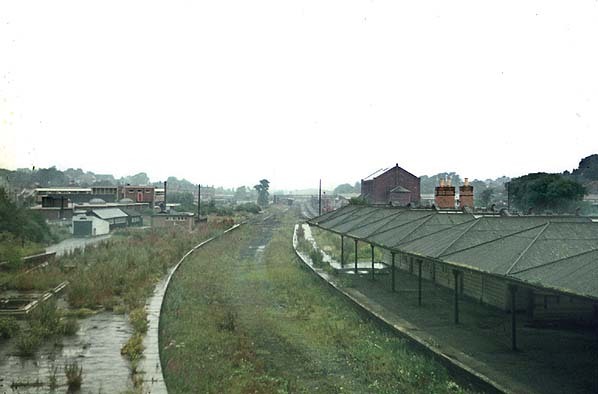 Chesterfield Central Station looking north in July 1971.The station buildings have all been demolished by this date but the goods shed is still standing.